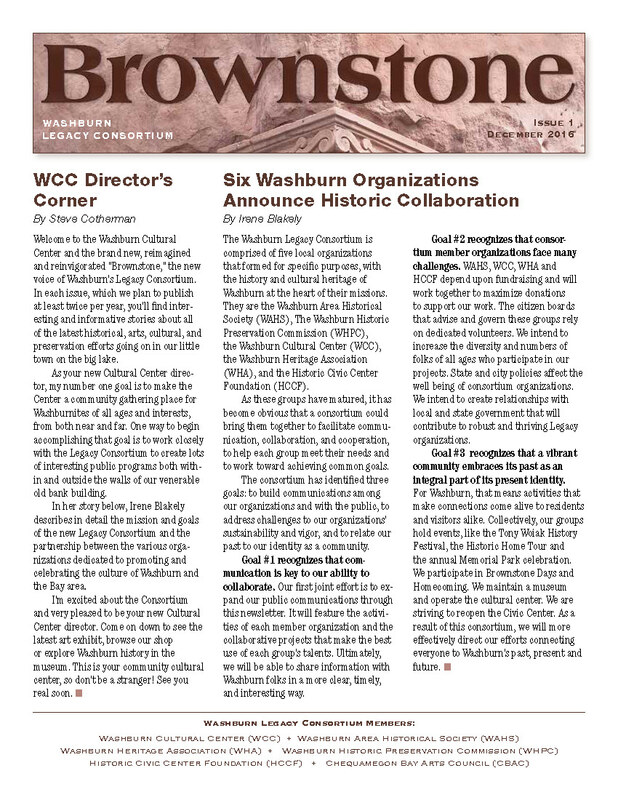 The Washburn Legacy Consortium is comprised of six local organizations. Each organization was formed for specific purposes, with the history and cultural heritage of Washburn at the heart of their missions. The consortium was formed to facilitate communication, collaboration and cooperation among the groups, to help each group meet its needs, and to work toward achieving common goals. The consortium's goals: to build communications among our organizations and with the public, to address challenges to our organizations' sustainability and vigor, and to relate our past to our identity as a community.